A pipe work system is connected to an industrial vacuum cleaning machine. 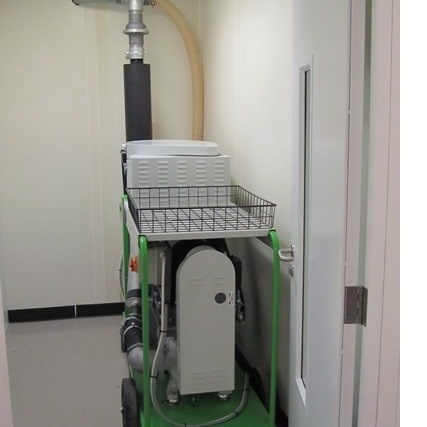 This is a cost effective solution to a cleaning requirement. Although mobile machines can have a limited product holding volume, a primary separator in front of the machine can provide additional capacity. BVC Industrial vacuum machine connected to a pipe work system.